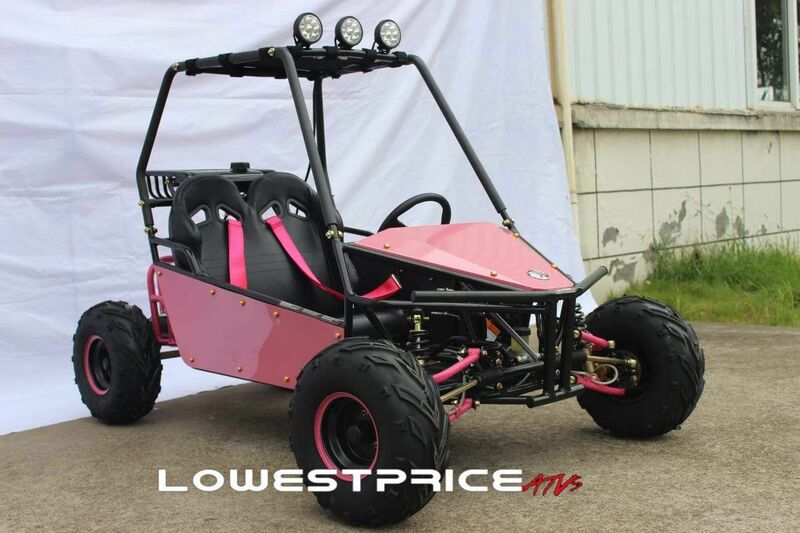 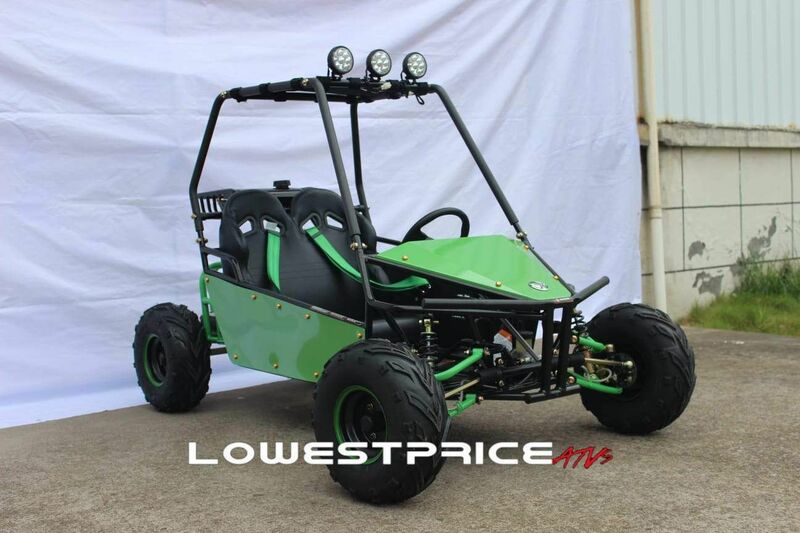 The Kandi 2-Seater Gas Go Kart, Model KD 125GKM, comes with front suspension and hydraulic disc brakes, making it a perfect vehicle for all your off-road shenanigans! 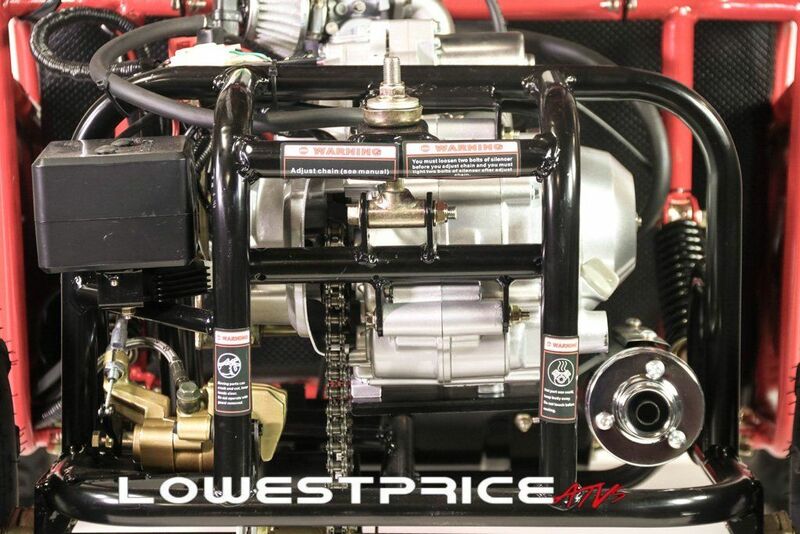 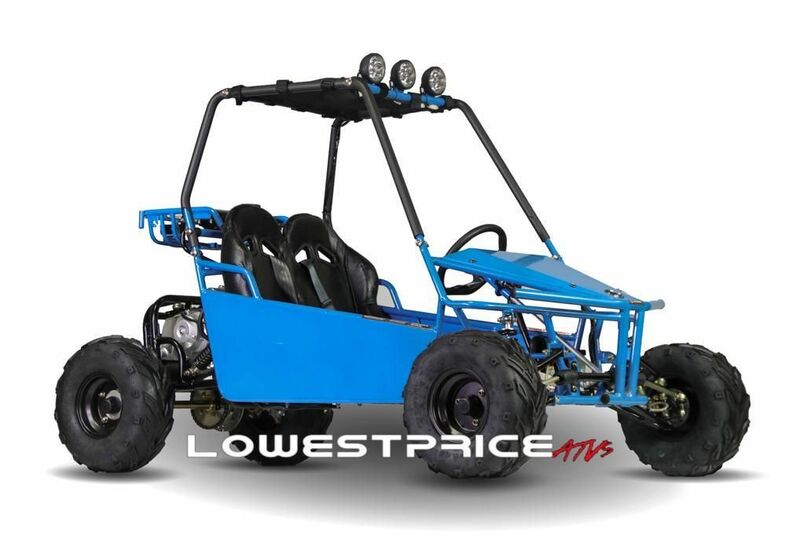 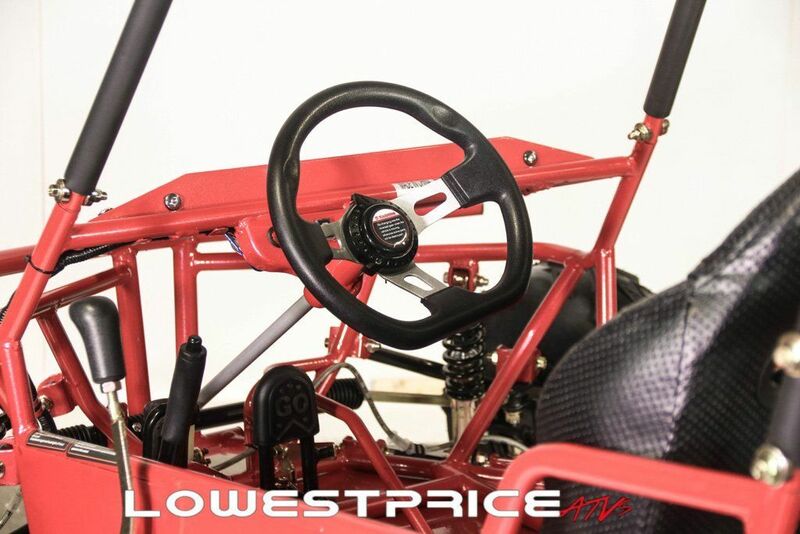 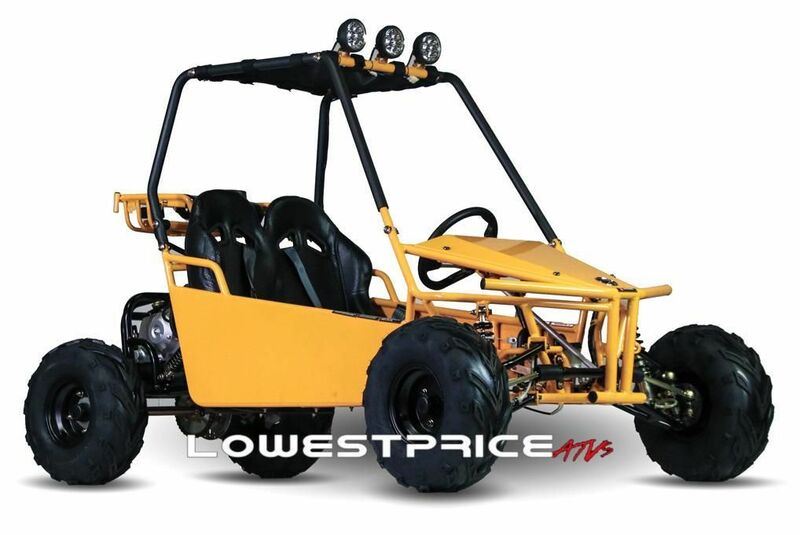 This gas go kart boasts a powerful 125cc single cylinder, 4-stroke engine, capable going in reverse and achieving speeds of 35 mph. 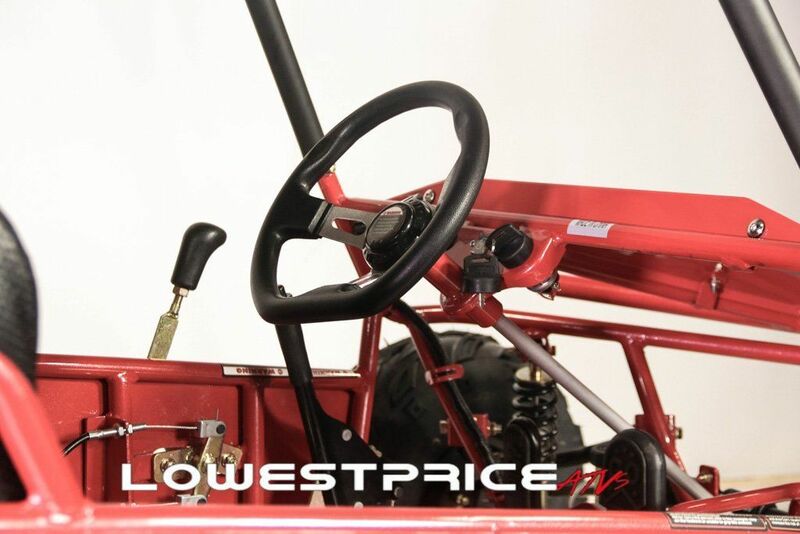 The KD 125GKM comes with advanced features such reinforced steel framing and an aerodynamically improved fork. 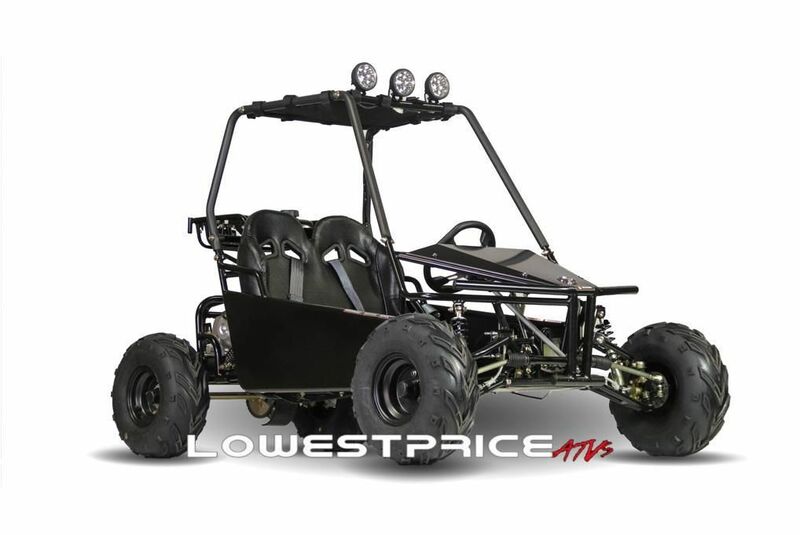 Top Speed- 35 mph on a single 1.6 gallon tank.